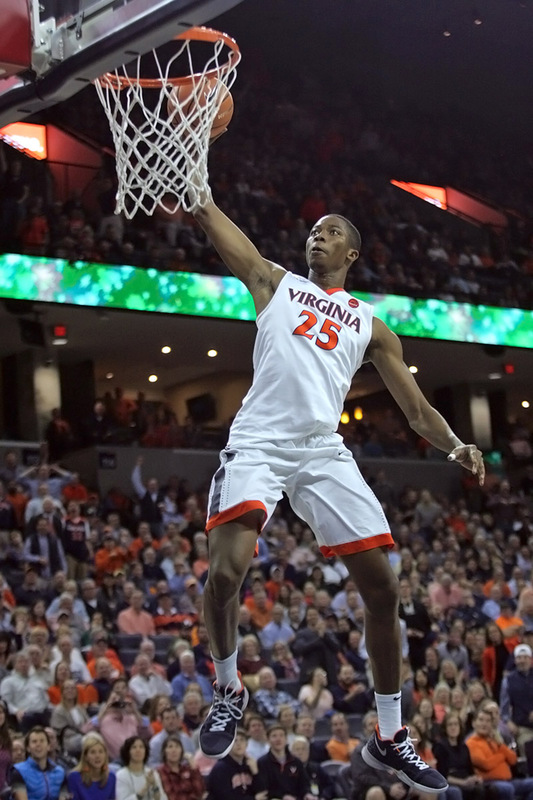 The Virginia basketball program officially released its non-conference schedule Wednesday. The slate features 12 opponents with seven games at the John Paul Jones Arena. Most of the non-conference schedule had been leaked in small pieces throughout the offseason, mostly from Jon Rothstein of CBS Sports, who shares national scheduling news frequently via his Twitter account. The two unknowns based on our previous schedule articles here at TheSabre.com are Coppin State and Morgan State, both from the Mid-Eastern Athletic Conference. CSU finished 5-27 last season in former Maryland guard Juan Dixon’s first year at the helm. MSU posted a 13-19 record last season. UVA faces Coppin State on Nov. 16 and Morgan State on Dec. 3, both at JPJ. Those two additions bring the schedule to 30 games for the Hoos in the 2018-19 regular season. The other non-conference games that were already known are Towson (season opener on Tuesday, Nov. 6), George Washington (Nov. 11), VCU (Dec. 9), William & Mary (Dec. 22), and Marshall (Dec. 31). All of those games are at home. The schedule includes road games at Maryland (Nov. 28 in the ACC/Big Ten challenge) and South Carolina (Dec. 19). Virginia will also play in the Battle 4 Atlantis tournament over Thanksgiving with its opening game coming against Middle Tennessee State (Nov. 21). The other two games will come against someone among Florida, Wisconsin, Oklahoma, Stanford, Butler, and Dayton depending on how the bracket unfolds. Game times and any TV news for the non-conference schedule will be released at a later date. The ACC previously announced conference schedules as well. UVA’s schedule includes home-and-home matchups with Duke, Louisville, Notre Dame, and Virginia Tech. The Cavaliers will play Miami, Florida State, Georgia Tech, Wake Forest, and Pittsburgh at home. They travel for games at North Carolina, Clemson, NC State, Syracuse, and Boston College. Dates for the ACC contests will be announced in the future.